Uptown Wadesboro historic story & 1/2 with large covered front porch with balcony from the upstairs. 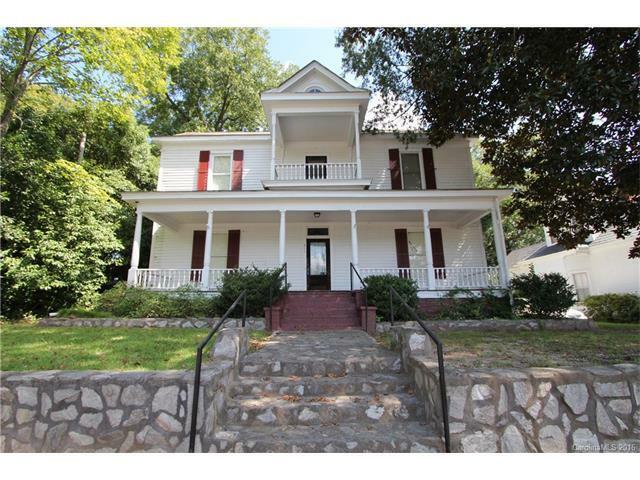 Large rooms with high ceilings downstairs, original fireplaces, wood flooring & original windows. Entry is central hall with staircase & 2 large rooms on each side. Bath on main floor. NO KITCHEN, had a break room. Upstairs 2 rooms and bath. One room upstairs is surrounded with bookshelves that housed law library.